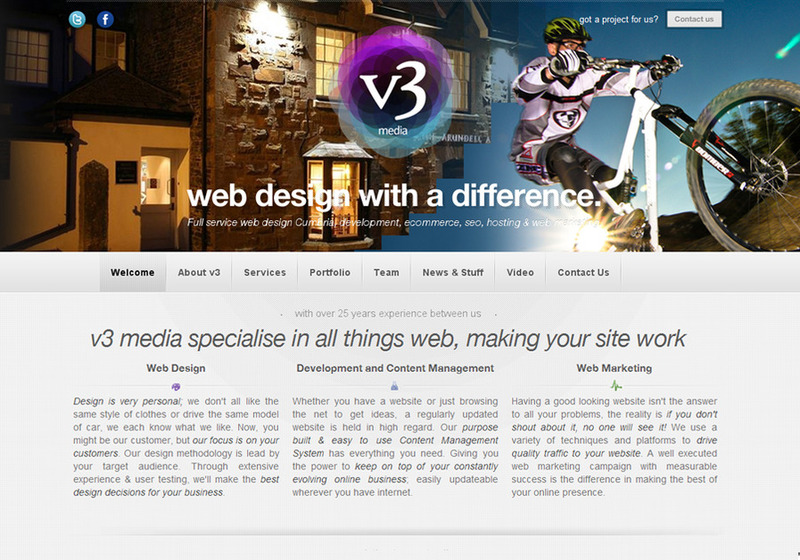 based in Kendal, Cumbria - v3 are a small team that think big. If you’re looking to use the web to develop or promote your business, v3 can offer you all the design and technical services you’ll need. With extensive experience in design, development, e-commerce, email marketing, bespoke content management systems, web marketing and search engine optimisation (SEO), we have the skills, enthusiasm and commitment to deliver successful websites. With such a wide range of services, we cover websites between £500-£20,000 but we have an extremely scalable in-house built CMS and an award winning creative team which can cater for any size project.